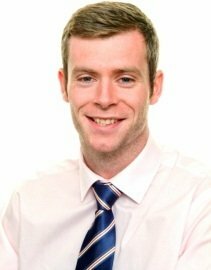 Hello- I am an experienced, energetic and passionate geography teacher based in one of Ireland's leading schools with an average LC points tally of 473 per pupil. Outside of teaching geography, I really enjoy playing and watching sport, travelling and music. I am a sociable and easy going person. I am dedicated to progressing my students academically and enjoy seeing them achieve in exams. Academically, I have achieved a first in all of my degrees (undergrad and postgrad) in addition to having a Masters in teaching through the Institute of Education in London. I currently teach in a Dublin school that achieved the highest average points in the Leaving Cert across the country in 2016 (473 points). I am a well qualified teacher with nine years experience of teaching geography, mostly in a department that holds the title of a 'National Centre of Excellence'. In addition to this, achievement is extremely high in my classes. I like to ensure students are confident with what they will be examined on and use student centred learning which enables students to achieve in the exam. My student achievement record is excellent with the vast majority achieving their target grade and above. This is as a result of my dedication, enthusiasm and passion for the subject by making geography accessible, fun, relevant and interesting which is the key to achieving in your exams. My approach to tutoring is similar to my approach in the classroom- focused, helpful and pacey. I am willing to listen to the needs of each tutee to create a programme in order to progress their understanding. I can quickly assess key areas that need to be improved and target these throughout the tutoring programme. As stated above, I am easy to get on with right from the start of tutoring and I look forward to working with students of any ability. SeanFrom Anne (5/5): (Senior Cycle Geography) Sean has been a huge help. He is very professional and has a great working relationship with our son. He is on time and consistent which is a breath of fresh air. He knows his subject and is already helping our son to fill the gaps in his course. I also greatly appreciate his ability to impart exam technique skills which this time next year will be so important. Excellent teacher. Reply from Sean: Nice words- thanks Anne! Reply from Sean: Thanks for the review, Ayman! SeanFrom Jason (5/5): (Senior Cycle Geography) Sean was a great help in my preparation for my leaving cert geography exam, he was extremely exam focussed and only concentrated on what would get me the high grade, which worked out in the end for me. SeanFrom Jacqueline (5/5): (Senior Cycle Geography) Sean has proved an excellent tutor for leaving cert geography. Motivated,well prepared ,very knowlegable on the leaving cert syllabus and genuinely interested in my son's progress. We are very happy with our choice.